Researches still go for the Australia originated Piccabeen Palm. It is a huge pine, called King Palm as well, growing as tall as 20 meters. 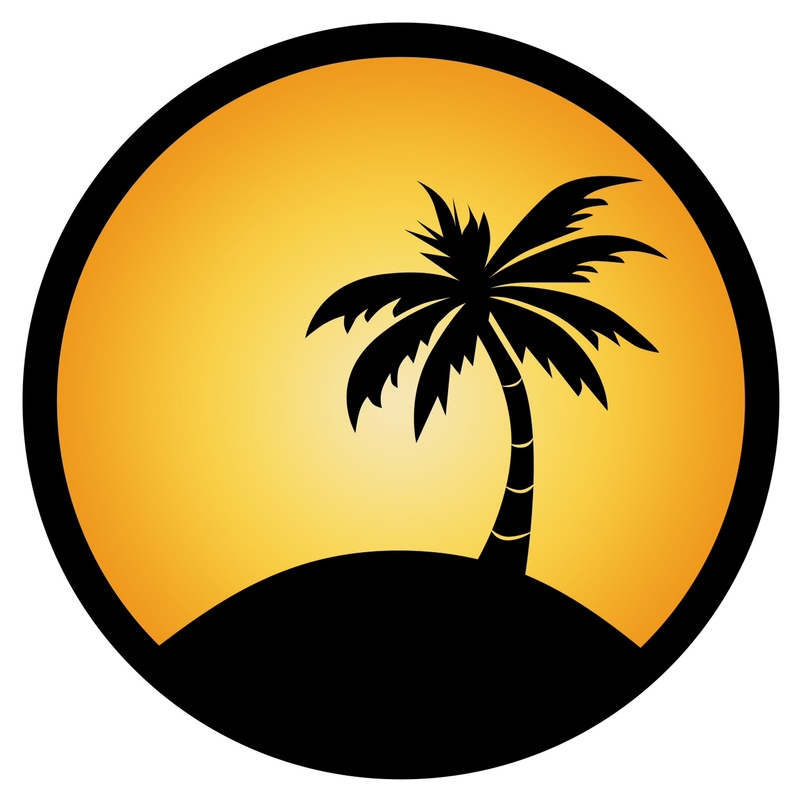 I like about palms, a feature very relaxing. 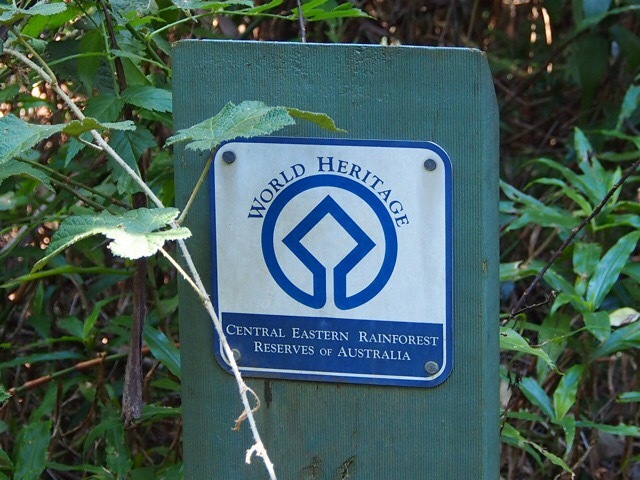 Noted this sign on the top hill of rain forest of the Araucaria trail at Goomburra. I enjoyed the King Palm canopy very much. 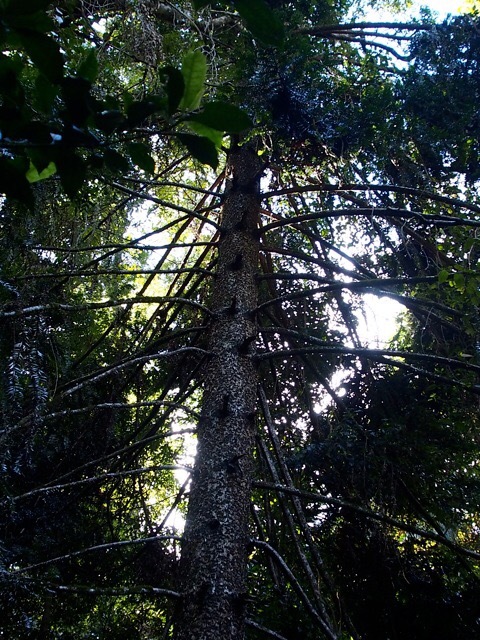 Huge Hoop pines are less, could be easily recognized beside the King Palm dominated trail. The Araucaria waterfall is named after the Hoop Pine. 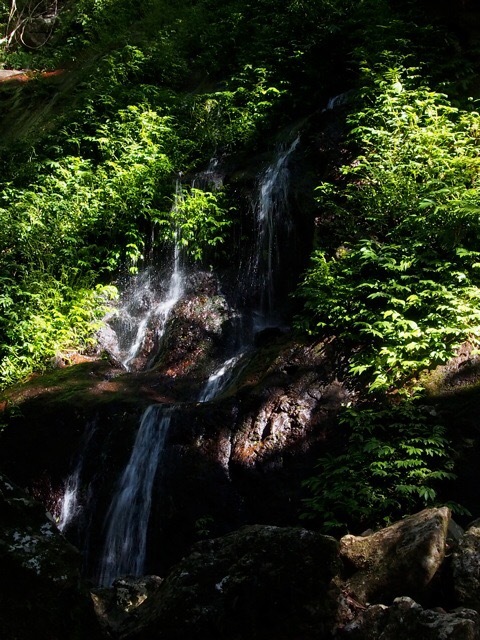 The vegetation was lush around the waterfall area. 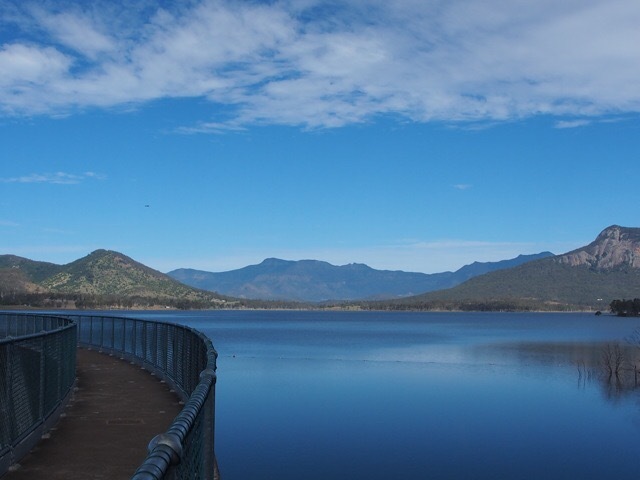 Lake Moogerah looks beautiful as a dam lake, its water sources are used only for irrigation. Wild ducks dipped in the dam water. Pelicans leisurely paddles in the lake. A walk to the dam leads you to the Mount Edwards peak hike. A trip to Mount French was wonderful to see the unique vegetation of wild flowers, ruby-red pea flowers with busy bees. 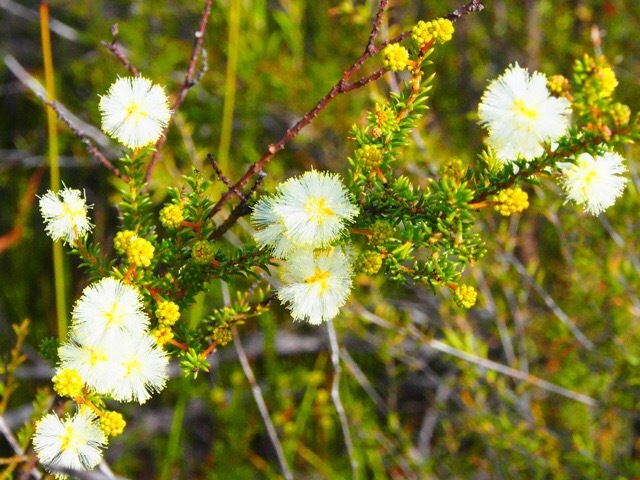 A loop track consisted of a forest of grass trees at the shady part, furthered up with the open dry field of rock vegetation, which felt alike walking on Table Mountain of SA. The lookout was more about a picture of lush forground with mountain background. The North Cliff Lookout was sun-bathed, nice to have a meditation. The view of the Main Range and the Bonsai look alike trees was breath-taking. 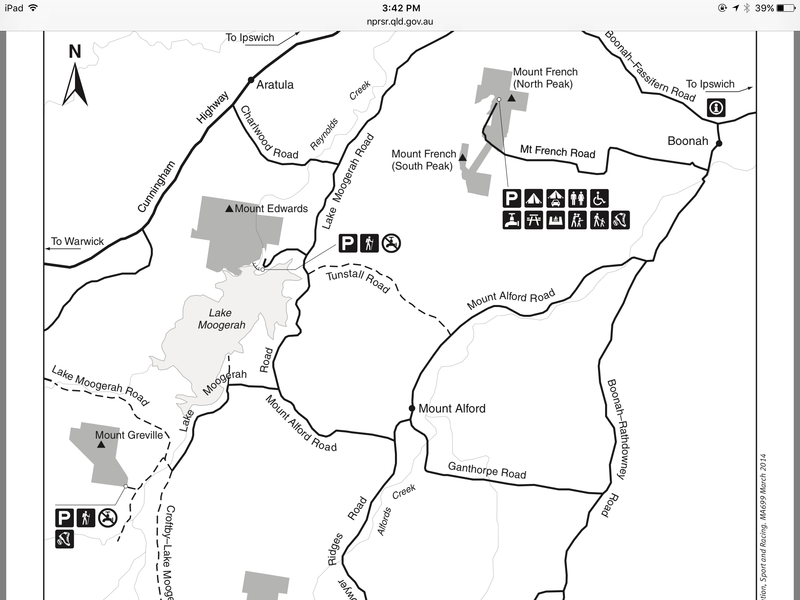 I wonder why Fassifern valley was designed so good in pattern looking than Lockyer Valley. A side walk to the left is a bush of grass trees and the rocks’ cliff. So good so far, we booked the camping night but gave it up. It has 14 sand based camping sites, will give you a bush feeling camping experience. Maybe the evening owl cry would be interesting to hear. 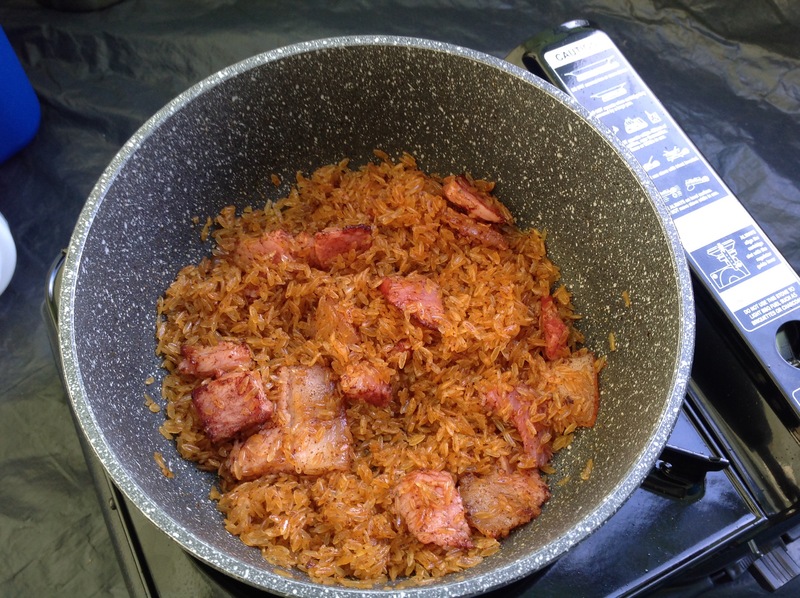 A pack of smoked meat, a bag of spiced rice, eggs, it was easy on the go. 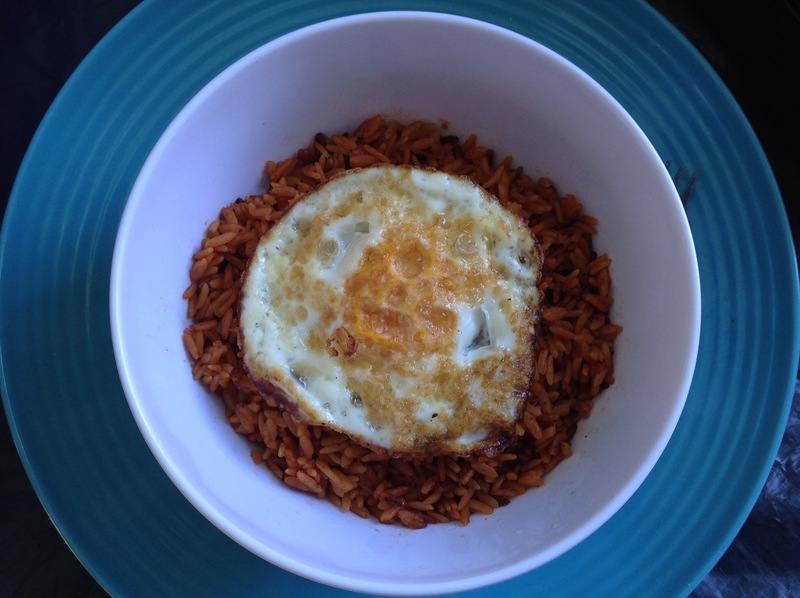 Fry the speck meat in the pan, then mix in the spiced rice, sauce and seasoning mix. The speck you could buy at the Aldi supermarket. Gatton has one. The Mexican flavored rice is from the Reject shop in Gatton. I like chilli and capsicum flavor, so I start to try Mexican flavored pie as well. To have a fried egg, it was great to watch the egg white bubbled up. Burned a little bit on the ring part of the egg, the flavor was good. 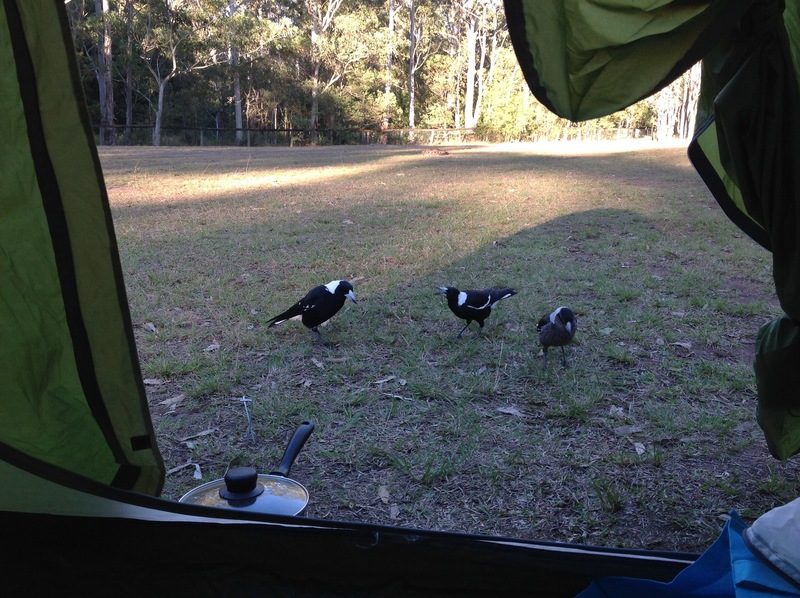 A family of magpie just flied over to look for a feed. It is illegal to feed them. Bringing seeds for them would be great. The male magpie looks so great with a good shaped body and, a big head with very white hoods. Use the next BBQ site for fire in the evening. 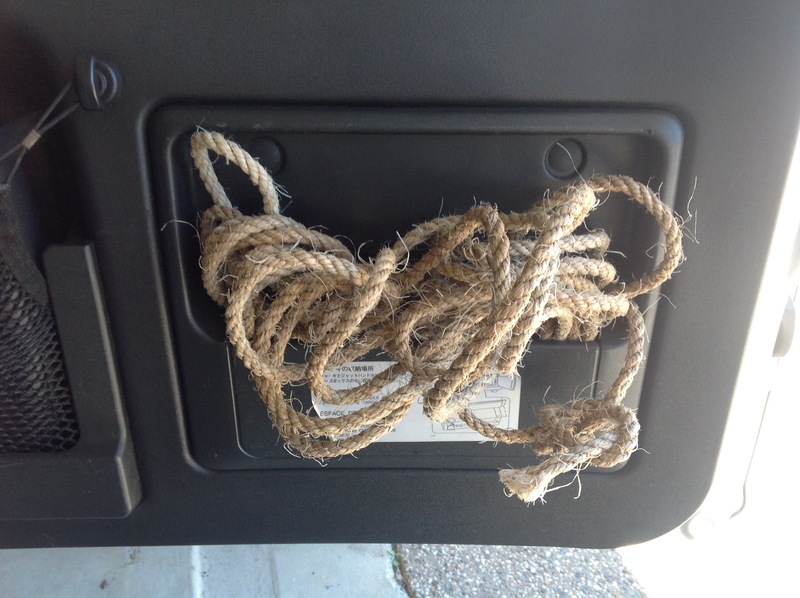 Collecting bush woods causes penalty, so good to bring your own wood or buy on the road to the park. There are a few residences selling wood, pumpkins at Goomburra. Cooking your rice with pumpkin would be good and healthy. 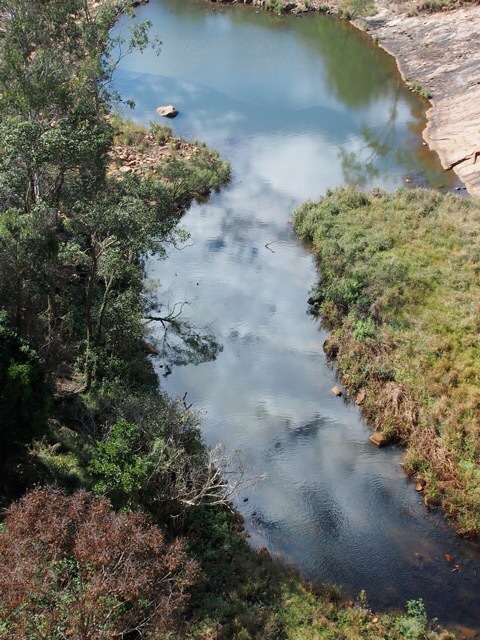 The first stop on the way from Gatton to the Darling Downs area, the Heifier Creek camping site is a free hideaway from the main road. It has toilet and picnic tables. Short stay is allowed. Be minded now a mobile psychologist service is available on this travel bus. 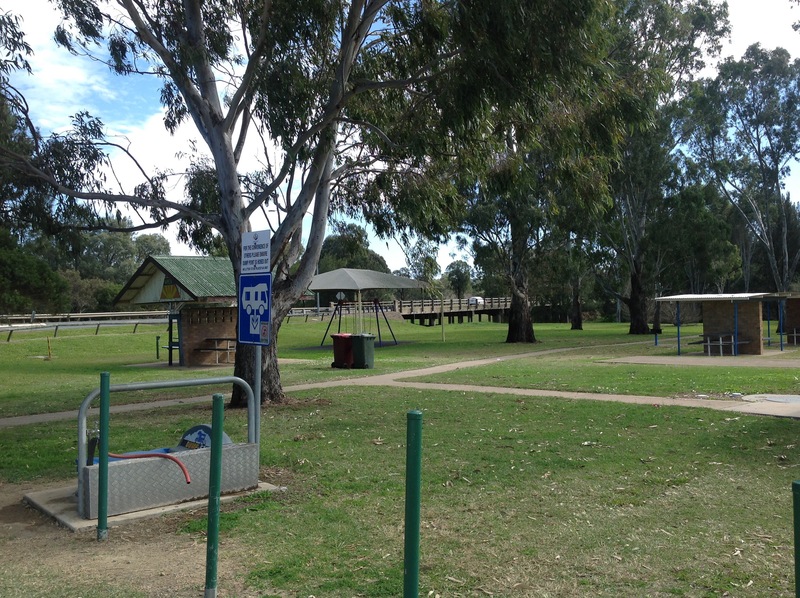 Our second stop is at the Apex Park of the Allora shire. It is dump spot, also a rest stop for caravans, camp vans and travelers with toilet, BBQ and picnic table facilities, even with a swing area. On the left side of the park, there is a church and it looks pretty good. For each shire, there would be a place to meet people first, that is the church. Though anyone could enter the door of the church, even passingby people could have a spiritual rest by going inside the church to pray. As far as I know, the first use of “free” word to describe Australia is from a book “kangaroo” written by D.H Lawrence. “Free” could be free of mind, a free market, a friendship of volunteer and, your free will. 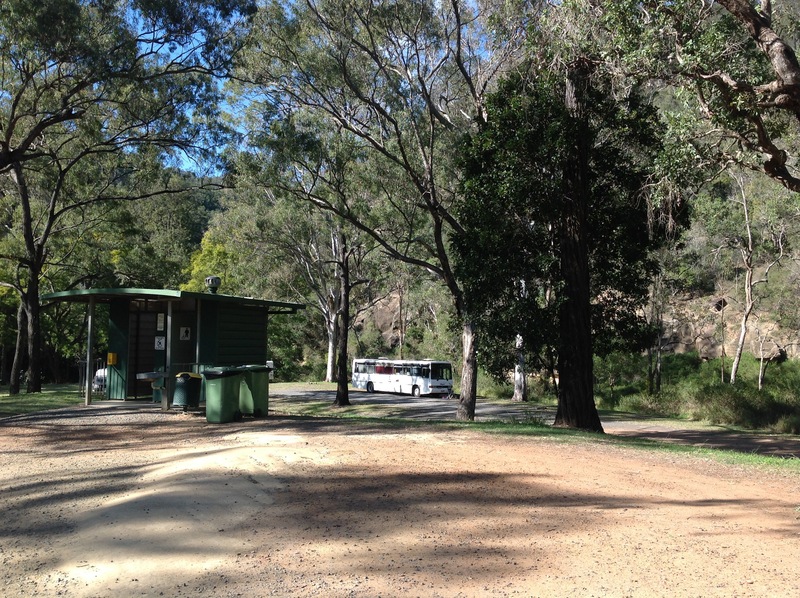 Our camp site is the Goomburra side of the Main Range National Park. Several camping grounds are run by private business. We booked the government site by phone earlier, so parked in easily without any check in. That is the cheapest way to travel the country. There is BBQ facility and toilet. A family of magpies takes the domain of this zone. We walked up the short tracks up the hill in the rainforest before. 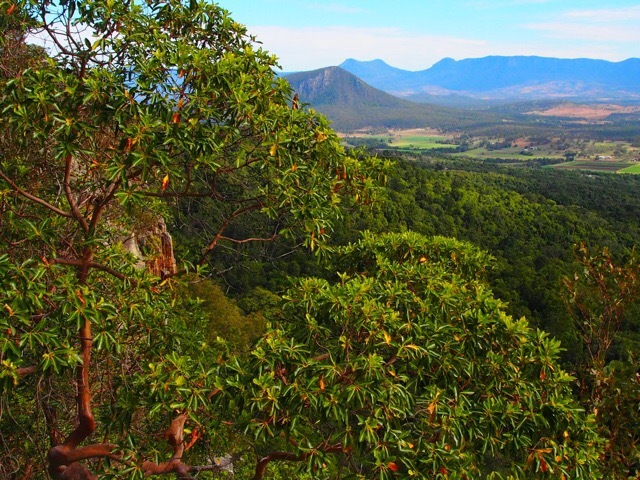 There are short walks for a 450-800 meters return to see the Castle hill, Hoop pines. This time we walked a loop track to see the Araucaria water fall. 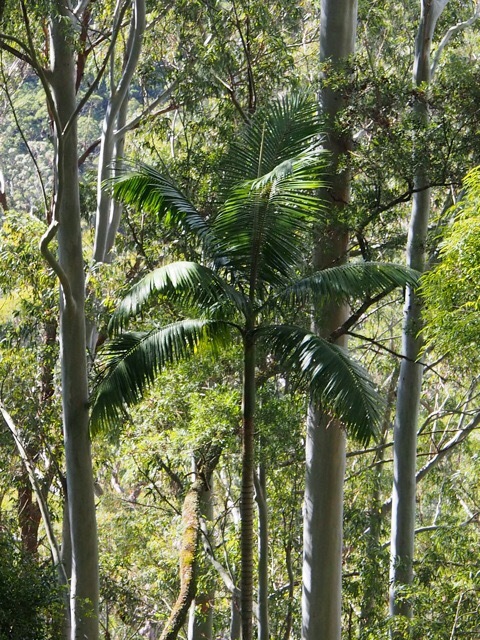 It was a 2:30 hours walking, climbing up to the top part of the rainforest, a canopy of palms, ferns, hook pine and eucalyptus trees, then walking down to the fall and creeks. Animal rushed across the trail before us was a quail today. Late evening walk was a seeing of foraging single kangaroo, mules before warming up by the fire and a cup of warm tea, off to bed, and we experienced the after mid night chill night. 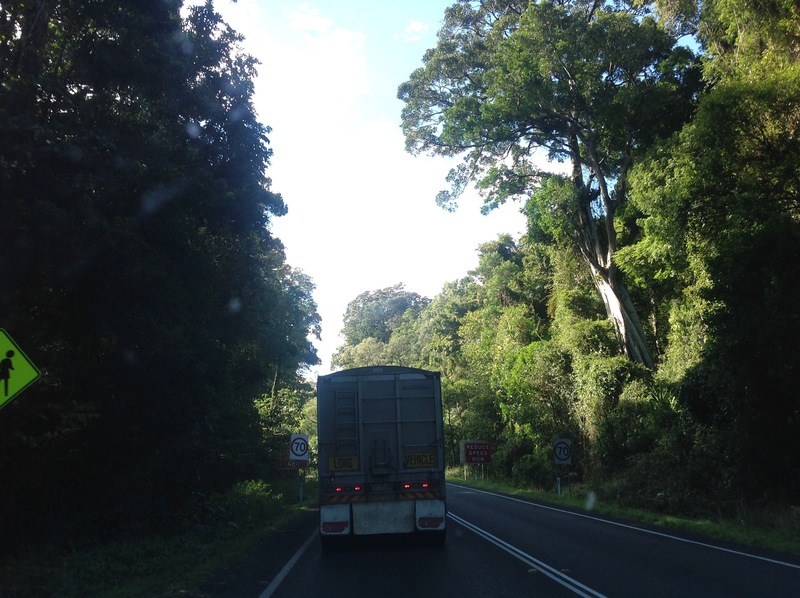 Heading to the Cummingham highway, we drove slowly and waited a herd of cattle to move to another paddock. 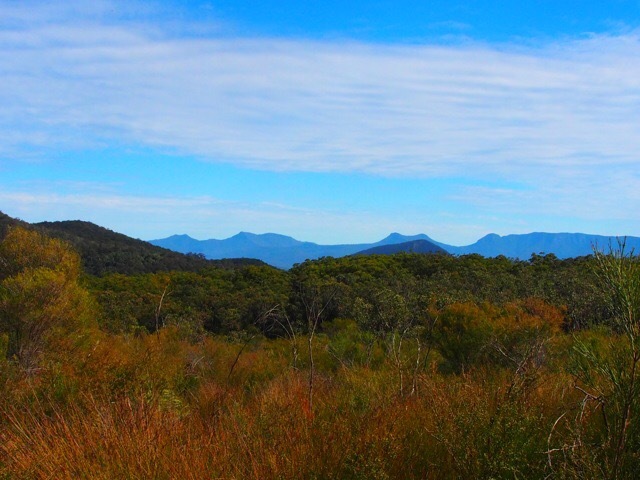 It was an amazing feeling to drive through the gap of the Main Range national park. 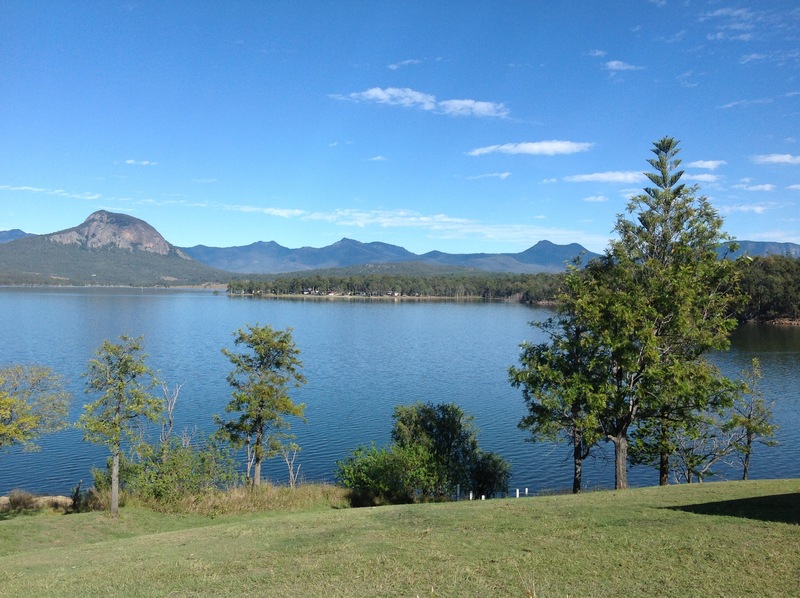 When we arrived at the Lake Moogerah, our spirit was further lifted up. A pelican soaring over the lake left a moment of forever in mind. A relaxing time by the lakeside could be well entertained by doing BBQ, a facility free for use, you just clean before you go. On the way to the Mount French, an adult sized skink just run across our van, we stopped and he speeded away. 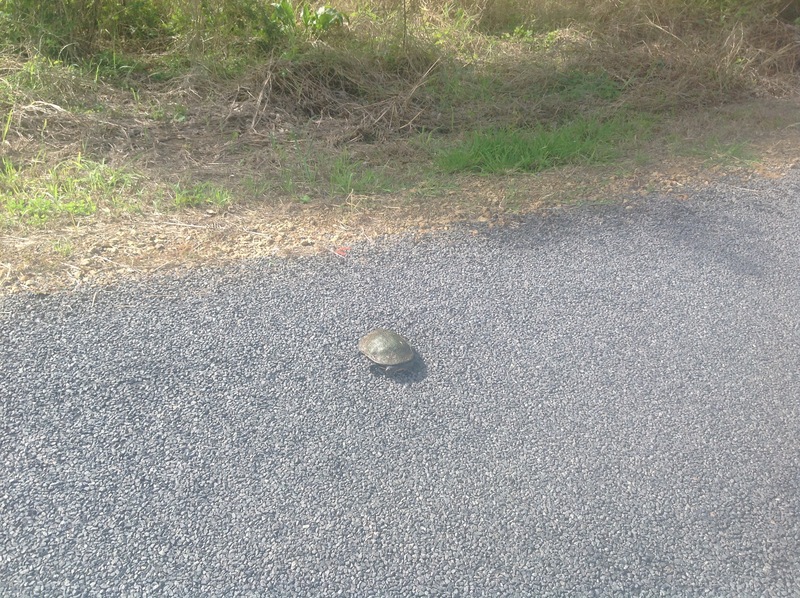 On the way back to Boonah, we stopped for a medium sized tortoise, which was creeping on the side of road. Observed the traffic, I took a quick photo and confirmed we can drive along. The Mount French section of camping sites have 14 great sand based spaces. 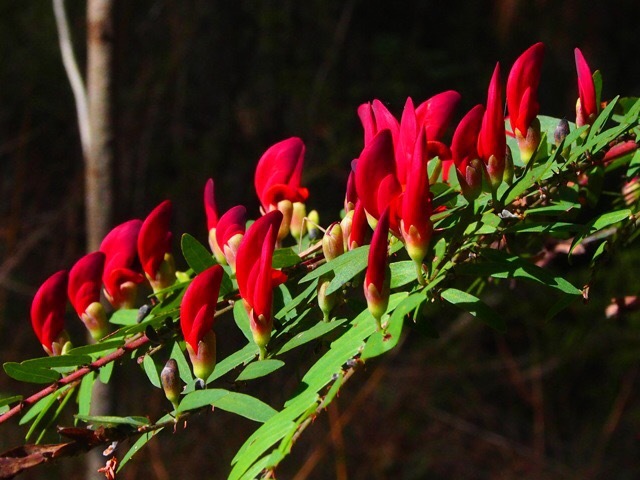 Local vegetation such as red pea flowers, canopy of grass trees are great to see. 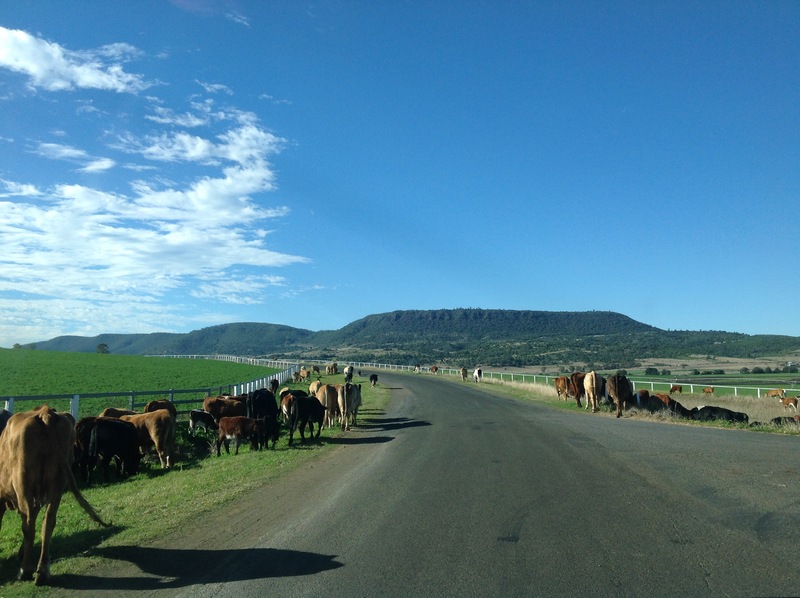 At the back road of Boonah, Mount Alfred , the tasting at the Bunjurgen was great. 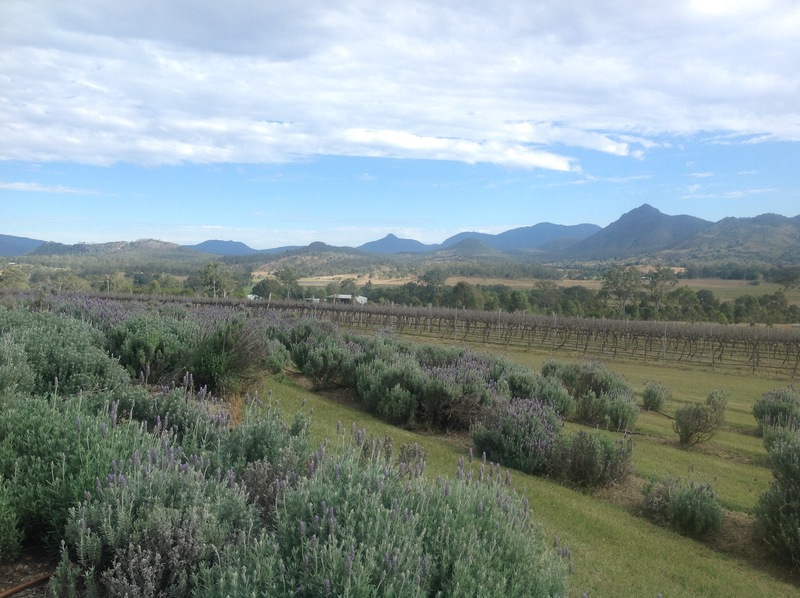 The view at the Kooroomba lavender and vinery was awesome. 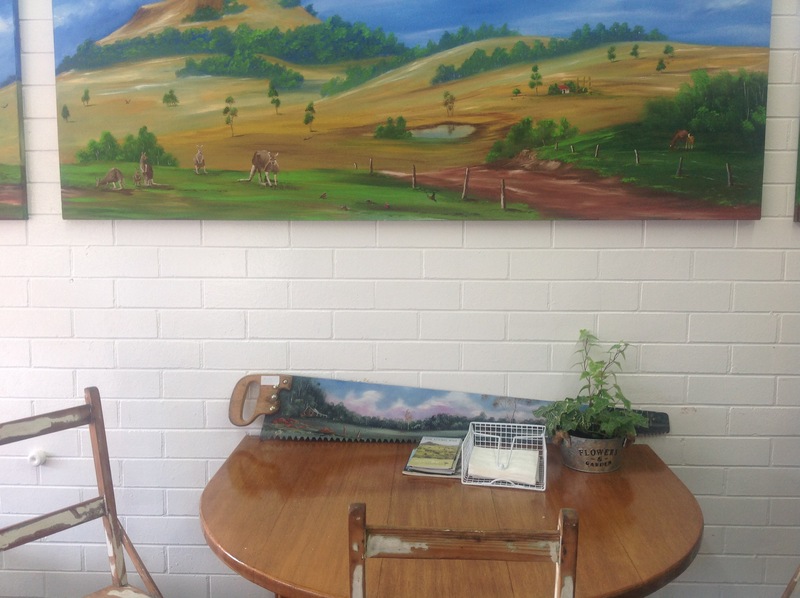 Back to Boonah, walking the town and enjoying a tasty Mexican flavor pie was a plus to a day of busy traveling by sitting in a nice shop to review the places where we went. 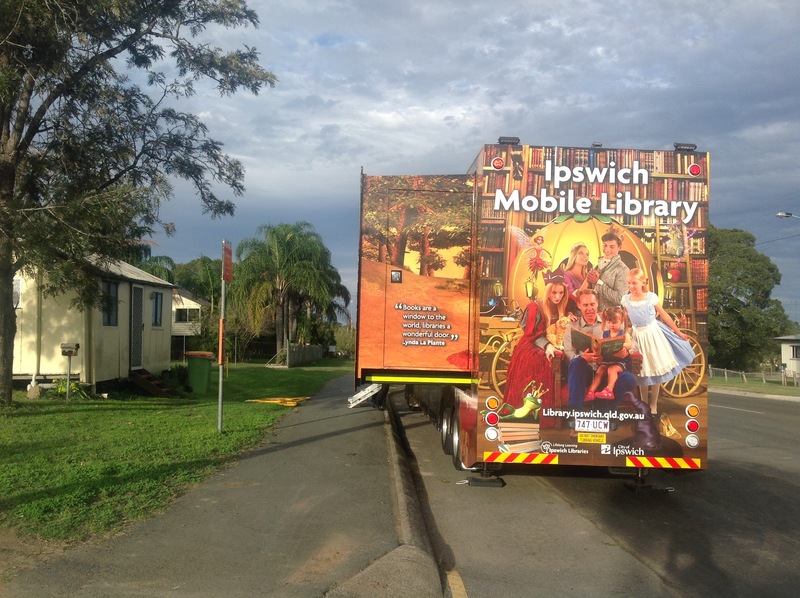 On the way back to Gatton, stopped at Waloon, I really appreciated the mobile library served Tuesday in a forth night by the Ipswich city. That was my day. I felt fulfilled. It is mid of year, end of July, the weather in Brisbane is warm, you feel alike spring days. 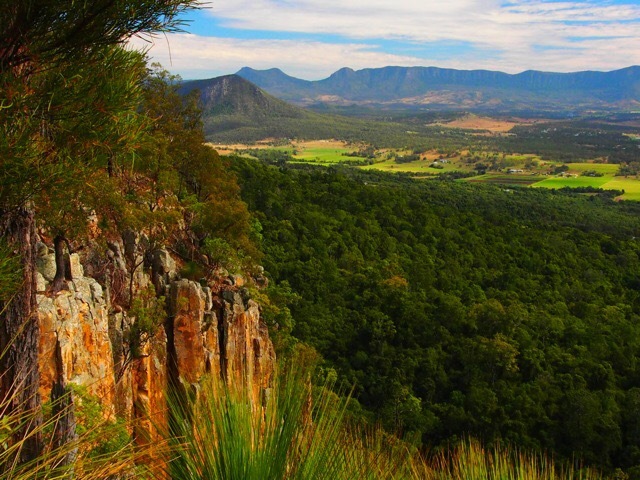 The Main Range national park is 1:30 hour away from Gatton. We would camp one night in the Gumburra camping site to explore longer hiking routes. 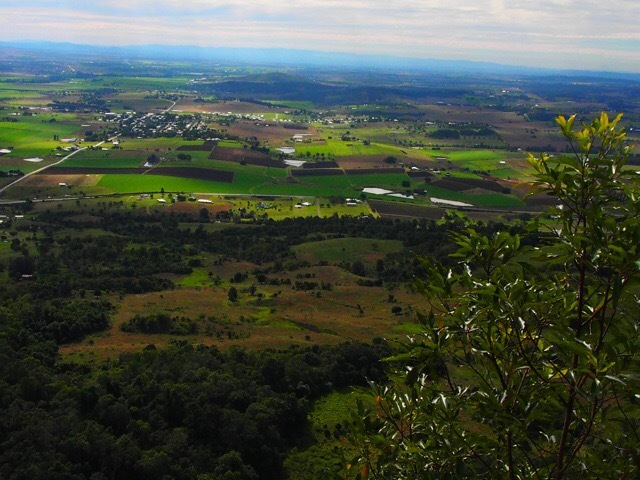 The Moogerah Peaks National park is just around on the further routes near the town of Boonah, which belongs to the Scenic Rim area, a few vineyards and one lavender farm locate in the town. 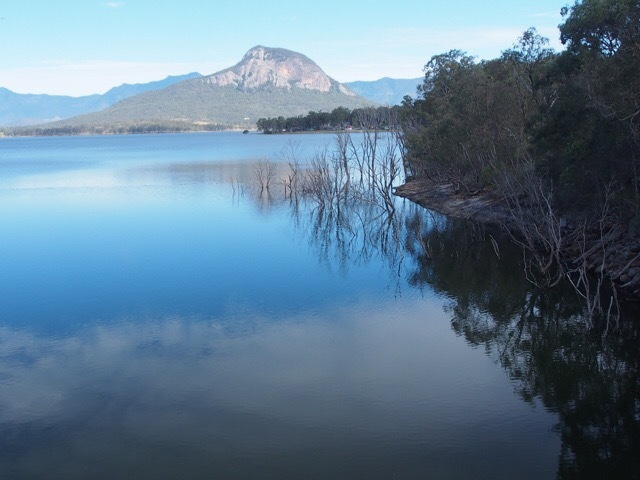 There are two lakes, one called Lake Moogerah, where we would camp one night in the Mount French section. Another lake is called Lake Maroon, locates above the Barney National Park. 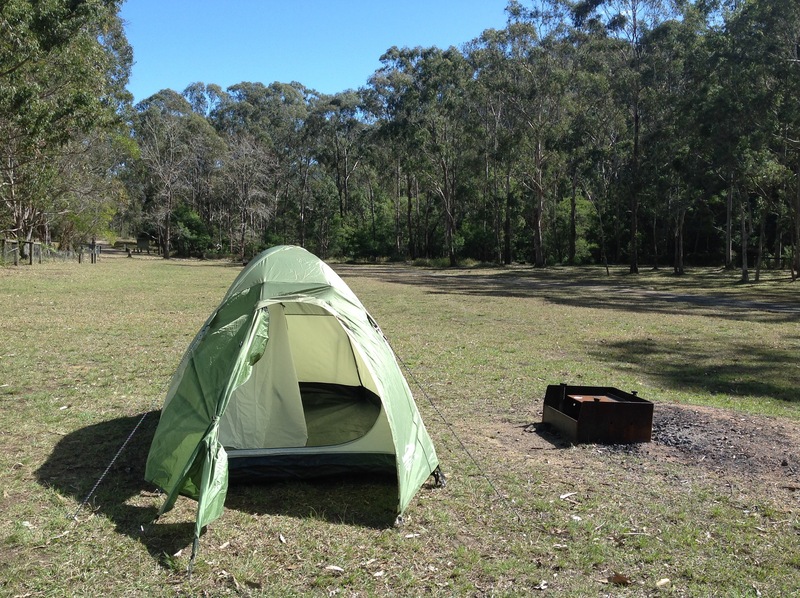 The only camping ground near the Lake Moogerah has little spaces, need to be booked in advance. The name is Frog Buttress camping ground. The online booking is down at this moment, you shall call them to pay by credit, $6 roughly a night. With short distance walking and some longer tracks to the mountains,both national parks are easy to have options to walk. 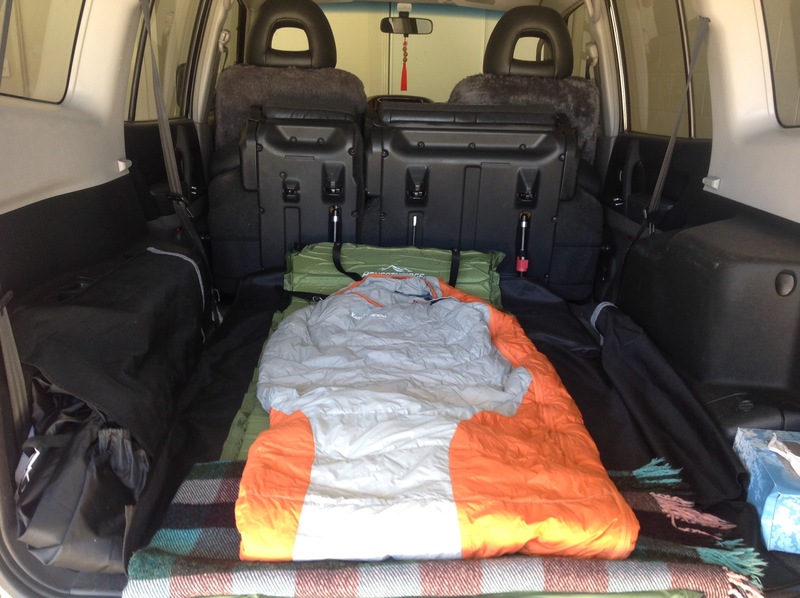 We drive a Pajero van, which has a great space to sleep in. Both camping ground could be hard to sleep on. Midnight rain could be an interrupt of good sleep. The weather in the evening could be cold in the bush. The Mount French section has a distance of 100 meters to walk to camp, so sleep in the van is the best option. 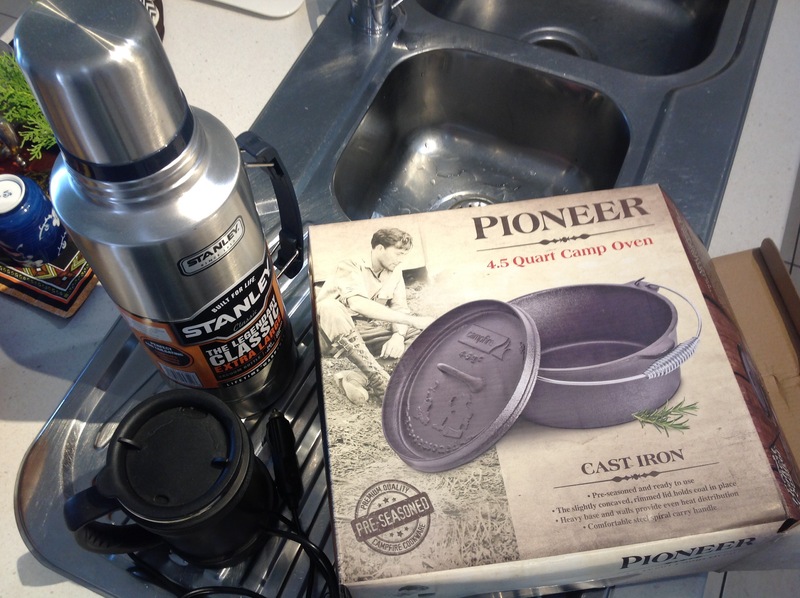 We do have compare cooking stove for backpack use. As we are driving most of the time, so we opt to buy a big stove, which could be more stable to use. 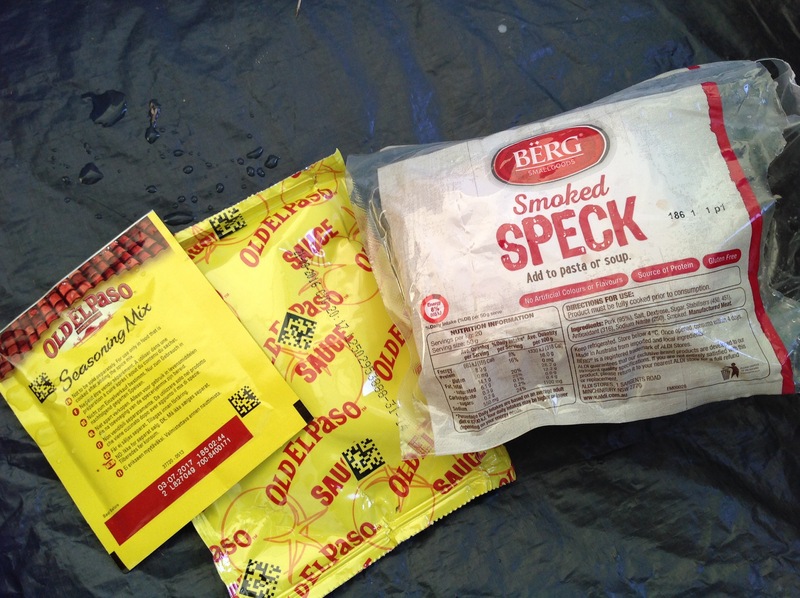 We bought a cast iron camping oven before, so it could be used on the camping stove fuelled by 4 bootleg of gas. 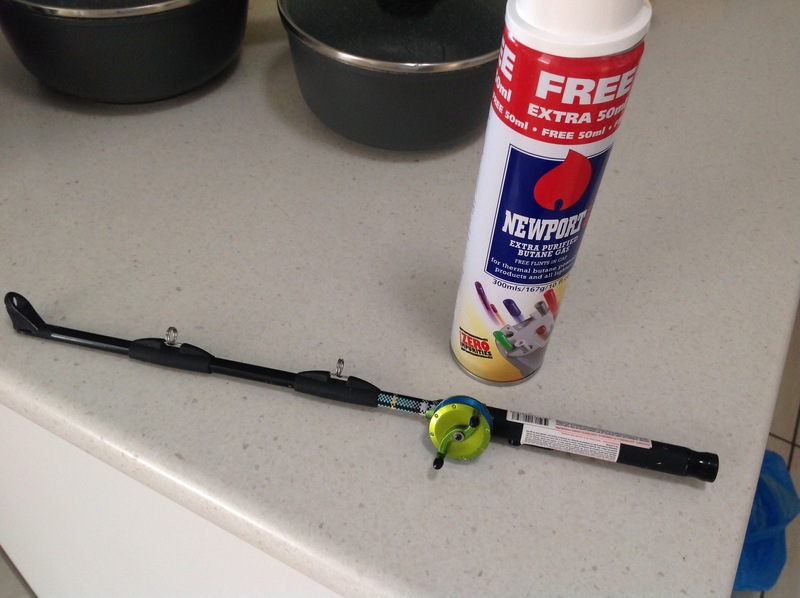 The gass bottles are universal to use, you could buy it in Coles supermarket and The Super Auto shop. we bought the stove for only around $24, which is the cheapest we can find out at this moment. The shop is open on Sunday. 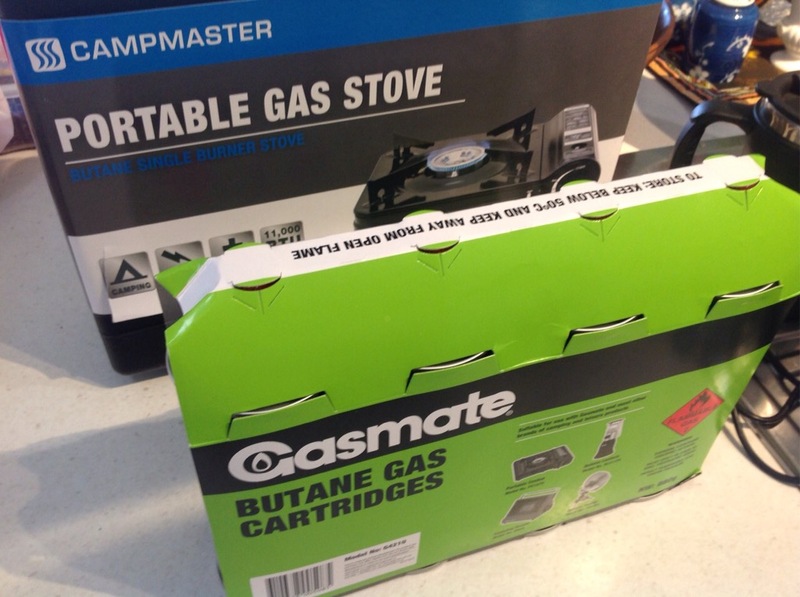 we drived around supermarket and Asian shops and found the portable stove called Master costs around $34-39. The Stanley flask is great to use. We could fill in hot water and use it to make coffee or tea on the road. It is around 2 litres. We bought it in the Jing Zong College shop in Toowoomba a few days ago. I have to tell you they stock a collection of heathy grains and beans from China. THe food we prepared, some of them are bought in the Reject shop. The shop opens on Sunday. The seasoning mix includes Thai spice, Indian Tandoori, Louisiana hot steak spice, Mexican crushed chilli contained in four seperated blocks. 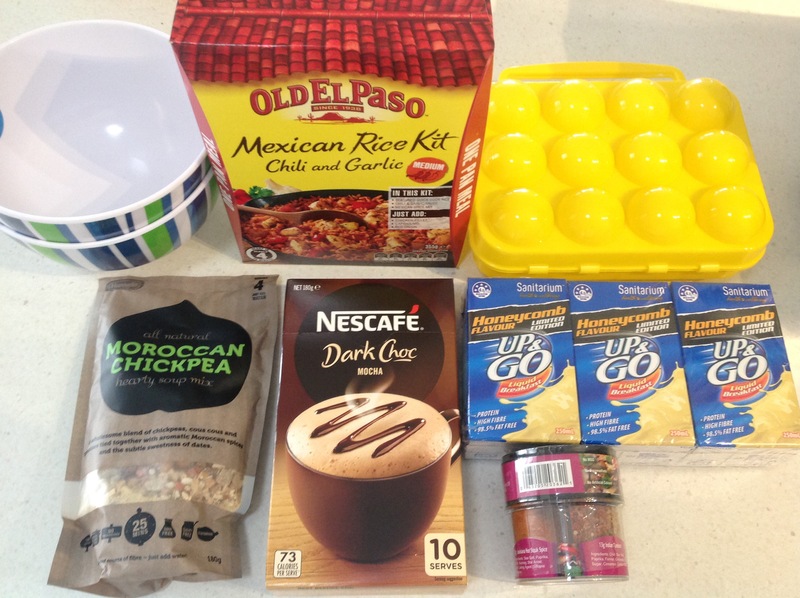 The Mexican rice kit with chilli and garlic could be a try to mix with lamb soup to be cooked. Moroccan chickpea I tried already at home, which costs only $1 is great to have it for camping dinner. I alway like the taste of liquid breakfast by Sanitarium. All sorts of flavours. This time I gonna try the honeycomb flavour. 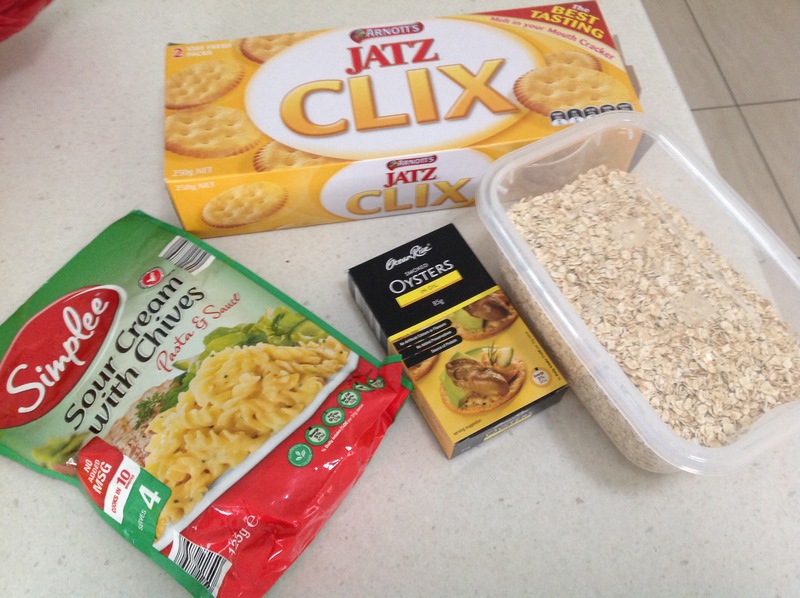 We also pack up pasta & sauce, oats flakes, plain biscuits, oysters as snacks. Egg holder for a dozen only costs $2 from the Wayne’s world shop. 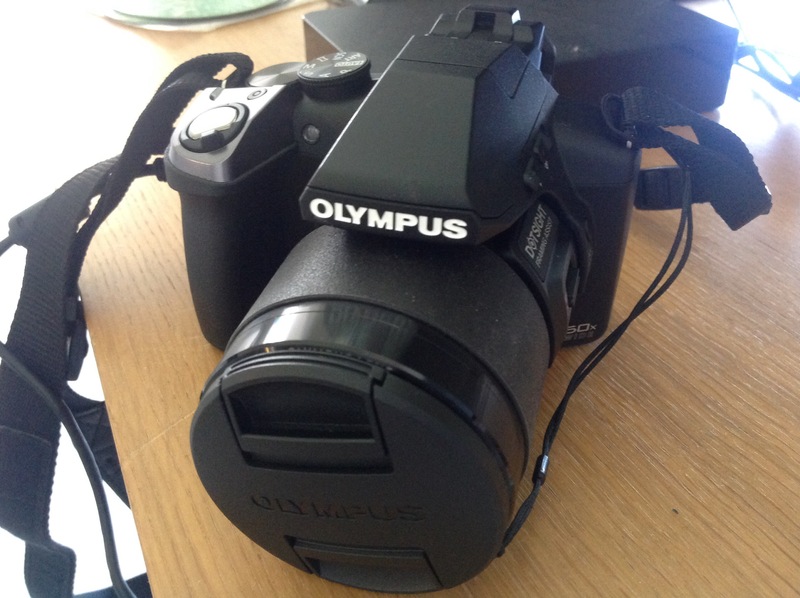 Before we go, we charge up two cameras, one is water resistant with macro lens, another is 50x good for birds photos. 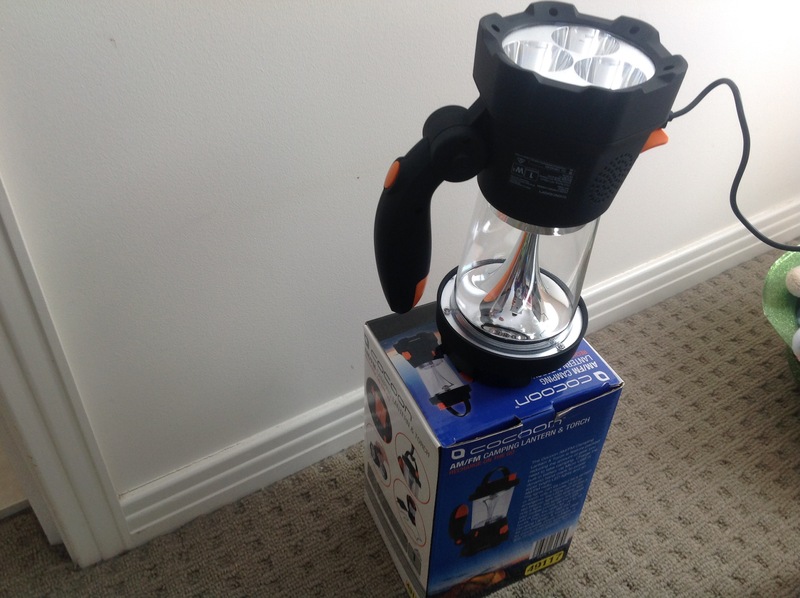 Two rechargeable torches, one is pocket size, another for camping night use. We prepared hammocks and rope. They could be used for relaxing sunshine afternoon. That is all I talk about preparing your camping staff. 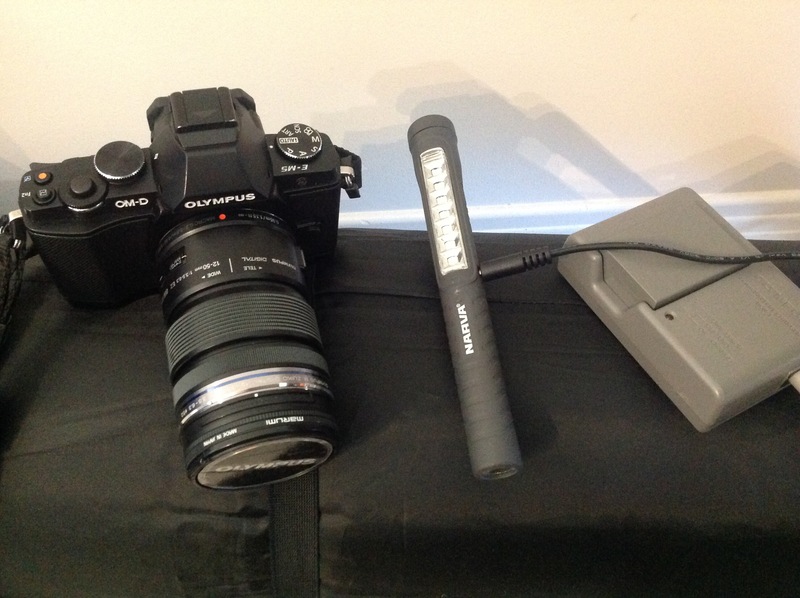 I attached a few photos for your reference.